Whether you are buying a new home or have been in your home for a few years, you may be wondering if you need to begin the process of replacing your roof. This can be an expensive cost and most homeowners need time to save up to be able to pay for it, although many roofing contractors do offer financing options. We have put together this guide to help homeowners become more aware of potential warning signs their roof is trying to tell them before the need to replace your roof is immediate. A great home inspector will provide you with an appraisal of the state of the roof and exactly how many years it’s left before you must begin considering replacing it. It is a great idea to have them take a quick look at your roof before making any quick decisions. Having the advice of a trusted professional goes a long way to making sure you are making the right decision for your home. These are another indication your roof may be neglected and needing replaced. Check to determine if every one of the shingle “tabs” are undamaged. From a practical point of view, there shouldn’t be any issue with only replacing several shingles at a time. Then it might be the time to get a fresh roof, in the event that you happen to be finding yourself replacing many shingles. At times, you could discover one or two lost or damaged shingles. In this case, it’ll be determined by the status of the shingles that are remaining whether your roof needs replaced or not. This can be just another place to be worried about. In case your flashing includes pitch or roof cement, it could have to be replaced using a long term, watertight fitting, which will be often a metal. Moss growing on your own shingles is just another bad sign that could mean it is time to get a brand new roof. Nevertheless, before selecting a plan of action it can be wise to remove the moss and further examine the state of the shingles. 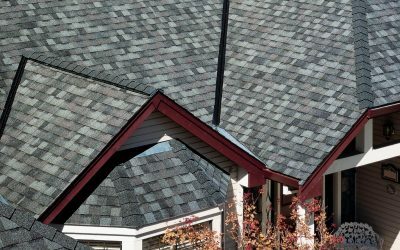 If your roof shingles are missing in the valley or are falling in, this an absolute hint you may be in need of a brand-new roof. Valleys are among the very critical regions of your roof. You might be susceptible to roof leaks in a situation where the valley is compromised. You do not need us to tell you it is not a great indication! Assess your loft to find out when there is a sunlight coming through the roofing planks. If light can get in, so can rain, snow, and chilly atmosphere. Also try to find water spots; if you see them over several rains, that may mean you have an active flow when they change shape or size of the holes in your roof. How old is the present asphalt shingle roof? Most specialists concur that the typical roof will last a decade or two. In the event the roof was installed over several layers or is older than 20 years, it is likely that you will need to invest in a brand-new roof. Shingles that buckling or are curled is another good indication that your home may require a brand-new roof. Hopefully this isn’t the case, but there may even be a chance the roofing is fundamentally flawed and needs complete replacement. There is cupping – which occurs when the edges of the shingles turn upwards; and clawing – when the borders remain level, and the center begins to come up. Shingles that are cracked are usually due to wind damage. It is possible to simply replace them if only several shingles are broken. In the event the cracking is not isolated to one specific place, that is a telltale sign that you should begin thinking about a new roof. Darker shade or inconsistency on some elements of the roof is just another indication the granules have worn away. 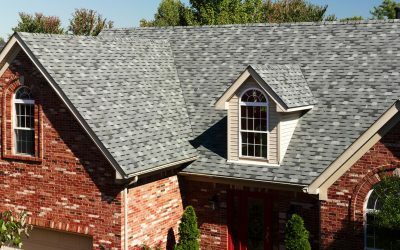 You may also notice a whole lot of granules in the gutters; in the event you just got a fresh asphalt shingle roof, there is nothing to be worried about: Those are not simply compact, ones that are additional beyond the shingle’s manufacturing requirements. But when it is been 15 or 20 years, that is an indicator of an issue that is potentially more extensive. Granules help keep sunlight off the asphalt layering and are important for proper ventilation of your entire home. This can be when you need to panic. A sagging roof is usually an indicator of a structural problem. There might be an issue with all the supports in the base or, worse, with all the decking in the loft. You are not always in certain risk, however this can be the sort of thing that is far easier to take care of when it is localized and little, than when it’s developed. While potentially serious, it could possibly be only a cosmetic problem. Individuals may decide to replace the roof only since they do not enjoy the aesthetic. First, before determining what’s most beneficial for your own residence, you need to always talk to a quality roofing contractor locally and get a quote. You can need to be sure you understand your possible hazards and prices prior to making the decision and may be in a position to wait before jumping in. Keep weather trends and conditions in your area at heart when selecting materials, should you choose to opt to go right ahead and replace the entire roof. In the Peoria area, we experience a wide range of temperatures throughout the year. Our summers can be extremely hot while our winters often experience negative temperatures. This can have a negative impact on your shingles if you choose the wrong ones. Asphalt and wood shingles are not particularly resistant which can be an issue if you live near lots of trees and dry brush. Metal, tile and slate tend to be more expensive, nevertheless they’re a worthwhile investment due to the excess protection against fire. We are located in Central Illinois where snow loads are a concern. 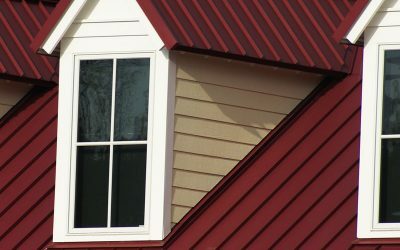 Consider a lightweight and long-lasting standing-seam metal roof. These can normally cast off the snow before it becomes a problem. While tile or slate are visually stunning, they are also heavy. Some house frames are simply not strong enough to support the additional weight of this roofing type. Your contractor will be able to discuss these options with you! It’s okay to get several estimates, in the event that you determine it’s time for a new roof. Make sure the estimate includes disposing of debris and removing the old shingles. In previous years, it was common practice to just nail the newest shingles on top of the old ones. This business standard has shifted and reputable roofers will not offer this as an option. In fact, doing so will invalidate many manufacturers’ guarantees.